IMLS partnered with the President’s Committee on the Arts and the Humanities, the National Endowment for the Arts, and the National Endowment for the Humanities on the National Arts and Humanities Youth Program Awards. The award program, which ran between 1998 and 2017, was known as the country’s highest honor for afterschool arts and humanities programs. During the award’s 19 years, it recognized 256 outstanding programs in the United States and 29 organizations in other countries, providing $2,850,000 in support. The program honored winners with a ceremony in Washington, D.C., and provided them with training and communications support. More than 700 semifinalists were also recognized with certificates of excellence. The winners used their awards to generate a wide range of positive outcomes for participating youth. Results included improvements in academic achievement, increased graduation and college enrollment rates, and stronger literacy and language abilities, communication and performing arts skills, and cultural awareness. 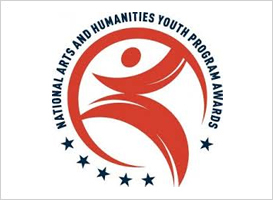 The National Arts and Humanities Youth Program Awards ended in 2017, and applications are no longer being accepted.